US stocks on Thursday suffered their biggest losses in more than two weeks as slashed European growth forecasts and warnings on the US-China trade dispute sent Wall Street into the red. 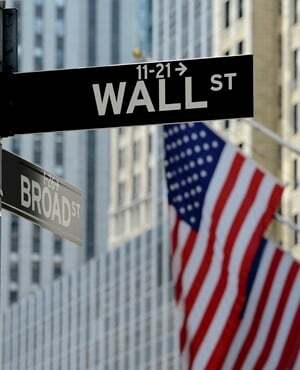 The blue-chip Dow Jones Industrial Average fell 0.9%, closing down more than 220 points at 25 169.53. The broader S&P 500 also lost 0.9%, finishing at 2 706.05. The tech-heavy Nasdaq fell furthest, slipping 1.2% to settle at 7 288.35. With three weeks remaining in a trade truce between Washington and Beijing, the White House said Thursday there remained a "sizeable distance" between the two sides. US duties on $200bn in Chinese imports are due to rise sharply after March 1, a prospect dreaded by markets. President Donald Trump's top economic adviser Larry Kudlow caused losses to deepen saying the countries have a long way to go in the talks still. Stocks had already lost ground after the European Commission slashed its 2019 economic growth forecasts. And Trump - who had announced last week he expected to seal a final deal on trade at a meeting with his Chinese counterpart Xi Jinping - said Thursday the meeting would not take place before tariffs were due to rise. Trump's remarks added "fuel to the fire," William Lynch of Hinsdale Associates told AFP, noting that corporate profits were not helping matters. "We still have earnings season and some of the reports I saw earlier today were not all that good, for the most part they missed earnings estimates," he said. "Some of the guidance have left a lot to be desired." Twitter plunged 9.8% after quarterly results showed a shrinking global user base. But SunTrust soared 10% and BB&T rose 3.9 percent after the midsized banks announced plans for a $66 billion merger, creating the sixth-largest US bank.